ORNE HOLIDAY COTTAGES AND GITES | Orne holiday rental houses and cottages in Normandy, France - holiday Gites Orne. Visit Alencon, the capital of the department when staying in an Orne self catering holiday house or gite. HOLIDAY RENTAL COTTAGES AND VILLAS MANCHE | Manche Holiday Rental Cottages & Villas. Book Manche holiday rental homes and explore fantastic beaches, particularly surrounding the legendary Mont St Michel. CALVADOS HOLIDAY FARMHOUSES AND COTTAGES BASSE-NORMANDY | Holiday Rentals France. Book direct on Rent-in-France and choose holiday homes in Calvados, northern coast France. 4 cottages in 2 acres of private gardens,in rural normandy. PLEASE SEE OUR OTHER PROPERTY LISTINGS FOR SEPARATE INFORMATION ON EACH OF OUR 4 COTTAGES. 5 Bedroom Calvados Farmhouse near Vire, Normandy, France. 3 double bedrooms with en suite shower rooms. 1 twin bedroom and 1 double bedroom that share a family bathroom. Wifi is available. Manche Holiday Cottage rental with Private Pool in Saint-Cyr-du-Bailleul, France. Jays cottage is a spacious stone built cottage situated in the beautiful Normandy countryside. FREE WIFI. The beach house at Bretteville, Normandy, is a simply furnished 2 bedroom house (there is a fold-down bed for 2 extra people) The beach can be accessed directly from the garden. Orne holiday rental cottage in St Philbert-sur-Orne, a peaceful hamlet with stunning views. Caen (and port) only 50 mins. Pont-d'Ouilly 3 miles. 2 bedrooms, sleeps 4 people. Gris Pomme is located in the village of Les Authieux-sur-Calonne, a small village located in Calvados, Normandy. It comprises 2 bedrooms and sleeps 6. An ideal base to explore the surrounding area. Breath taking waterside gites in the heart of Normandy. Traditional cottages modernised to a very high standard. On the banks of the river it makes it perfect for romantic breaks. La Bergerie has been converted into a comfortable 2 bedroom Manche holiday house suitable for up to five people. The holiday cottage is constructed from Normandy stone, typical of this area. 3 bedroom mobile home rental Normandy, Manche, Pontaubault. Vallee de la Selune offers 2 holiday mobile home rentals that sleep 6 and 8 guests in the picturesque village of Pontaubault. 5 bedroom house, Rouge Pivoine, is located in the village of Les Authieux-sur-Calonne, a small village located north west of France, perfect location for families. A few kilometers from Pont l'Evèque. This breathtaking and spacious Normandy farmhouse has been painstakingly renovated to the highest standards of luxury and taste. All 3 floors carefully designed to give a relaxed but decadent feel. Beautifully restored Normandy Holiday rental cottage which enjoys breathtaking views over rolling countryside and the River Sée. It sleeps 5 and is just 30 miles from the magnificent Mont St. Michel. A beautiful, well equipped self catering gite in part of a restored 15th century hunting lodge with private garden and heated swimming pool. Situated close to Alençon, Lower Normandy, France. Luxurious and newly renovated Manche 5 bedroomed barn conversion, with large decked outdoor pool area, indoor spa area with jacuzzi, sauna and indoor heated pool. Normandy/Brittany border. Normandy Holiday rental Cottage Near Saint-Hilaire-du-Harcouet, Manche, France. Les Moulin des Hiboux is located a few minutes from the typically Norman villages of Fontenay and Romagny. Stylish, spacious gite accommodation in the heart of the Normandy countryside, near historic Falaise, 45 minutes from Caen. Choice of 4 gites – can be booked together for large groups. Almé sleeps 12. Saint Pierre d Entremont Holiday House rental in Orne, Normandy, France. 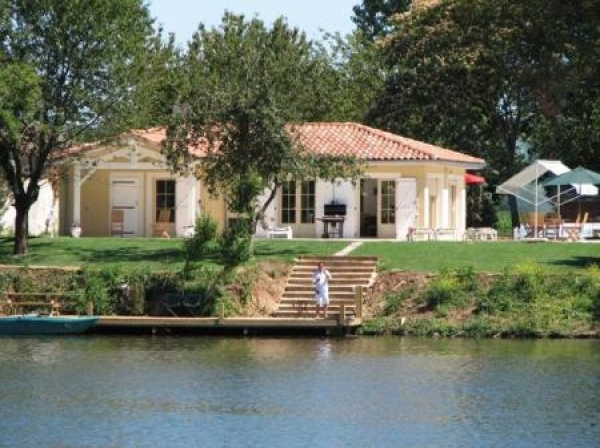 Les Vaux is a charming 4 bedroom house rental sleeping from 8 to10 guests situated in a picturesque rural riverside location. Saint Quentin les Chardonnets Gite rentals in Normandy-Lower, Orne, France. La Laiterie is one of three Normandy gite rentals situated in a peaceful location close to Tinchebray. WIFI internet. Nigel and Paula Colman welcome you to Normandy and their three delightful holiday cottages at Le Haut Fresnay. La Fermette and La Fresnaie, each sleeping six, and Le Fournil, which sleeps four. Holiday Rental Cottage in Orbec, Calvados, Normandy. La Maisonette De Vespière is ideal for 4 guests. It has recently been renovated by the owner of the Chateau next door. Rural 4 bed Holiday Gite in Romagny, 10 Minutes from the village of Mortain. La Ransonniere de Bas is furnished to a high standard, situated in the heart of 4.5 acres. Lovely Normandy Gite rental in Ceauce, Orne, France. One bedroom gite rental situated in a rural setting yet only minutes walk to the village of Ceauce. Spacious Living room, SAT T.v. Saint-Cyr-du-Bailleul Holiday Cottage with Pool in Normandy, France. Finches Cottage is a 3 bedroom holiday cottage sleeping up to 8 guests ideally situated in the heart of rural Normandy. FREE WIFI. Stylish, spacious gite accommodation in the heart of the Normandy countryside, near historic Falaise, 45 minutes from Caen. Choice of 4 gites – can be booked together for large groups.